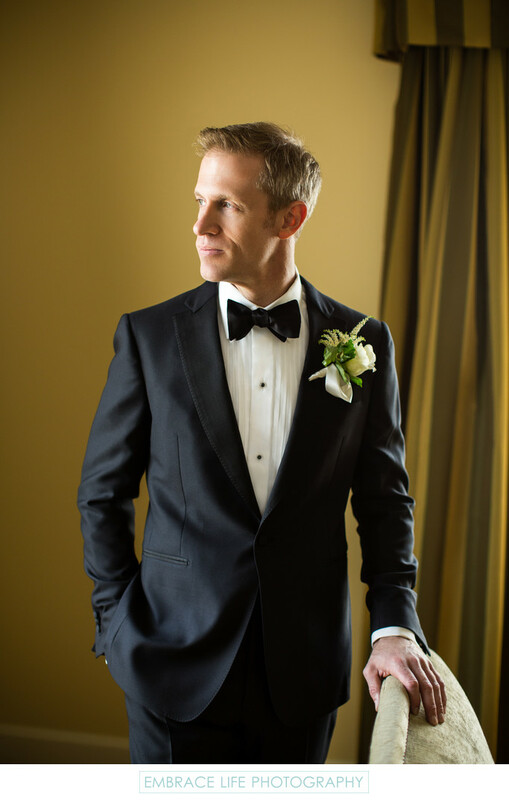 After getting ready for his Four Seasons Beverly Wilshire wedding, this handsome groom is photographed in a finely tailored tuxedo with a black bow tie and classic, white boutonniere. Embrace Life Photography believes that, while the bride may be the center of attention on her wedding day, groom's deserve to share the spotlight and deserve great wedding portraits, too. Location: 9500 Wilshire Boulevard, Beverly Hills, California 90212.